Nice yoroi doshi arrived today together with the cannon, from different sorces though. Thanx to friend on the forum shipped safely from Japan to sweden. Scabard made in Ishime-ji technique. Menuki 3 gold chrysantemums on silver clouds. Anthony, very nice looking, what is the thickness at the mune? Just seen this thread. Congratulations on a rare object. Bravo Anthony, nice toy, I love. 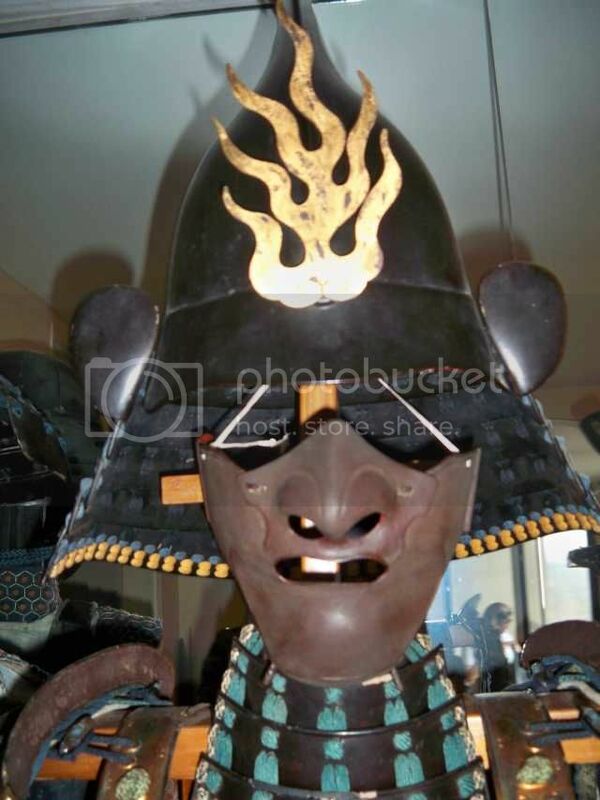 Another to show you a bit more commonplace, yari transformed into Yoroi doshi. 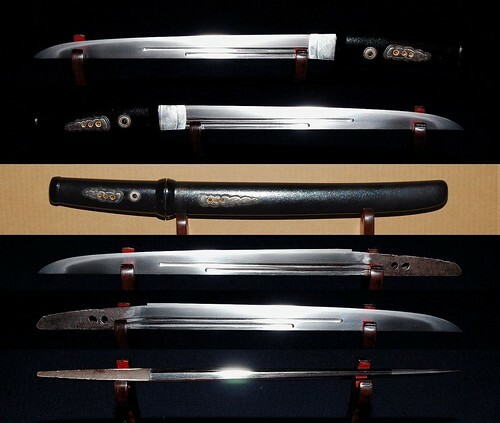 The nakago is signed kawachi no kami kanesada, school Yamato tegai. 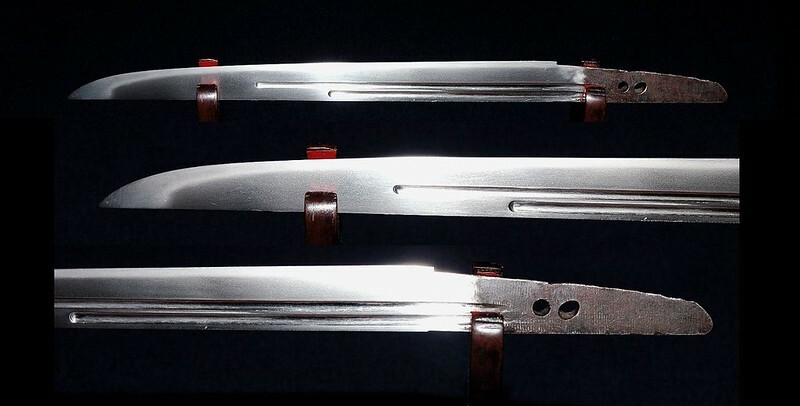 Pascal, can you check the Koikuchi opening and see if this is either a) a Tanto koshirae that has been adapted, or b) a koshirae that has been specially made for this yari? A nice object to have. the koshirae is custom-made for him. He is very fit and beautiful quality.